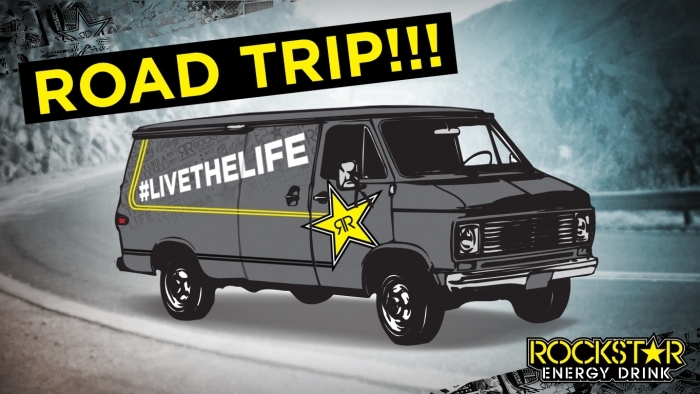 We're excited to announce that next Monday, April 1st, we're heading out on a #LiveTheLife road trip for #RockstarSpringBreak! Here's who's coming with us: Greg Lutzka, Nolan Munroe, Tj Ellis, Scott Byerly, Brandon Thomas, George Daniels, Randall Vandall Harris, Rusty Malinoski, Dane Zaun, Nathaniel Curren, Balaram Stack,Mason Aguirre, Cory Nastazio, and Colten Moore! Lake Havasu SWAT Events, we're headed your way. Who's ready to party? First stop Monday morning: Chino Skatepark. Will you be there? Follow us on Twitter https://twitter.com/rockstarenergy and Instagram http://instagram.com/rockstarenergy for more info and live updates from the trip!